Sam has almost a decade of experience working in the employee communications realm. In his current role, he manages small- to medium-sized projects and supports larger projects. He uses knowledge gained through measurement projects to conduct effective surveys with clients. He works with clients, such as International Flavors & Fragrances, BASF and American Water. Sam has his Bachelor of Arts in English (surrealism focus), with a minor in creative writing (short stories focus), from Drew University. He also received a certificate in filmmaking from the New York Film Academy. He is currently a member of Essex Toastmasters. 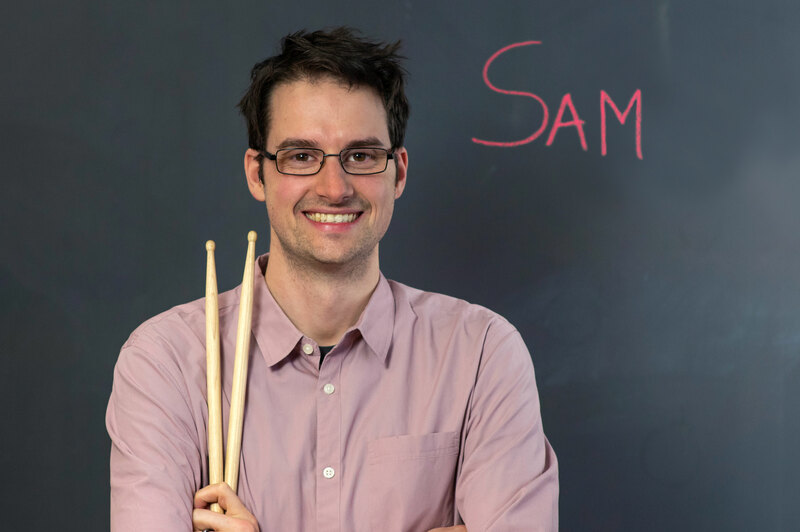 In his free time, Sam is learning to play the drums and speak French. What is the most satisfying or memorable project you’ve worked on? Writing the script and collaborating with my team to complete an introduction video for a new program. Who (or what) inspires you in your work? My brother. When he wants to do something, he just goes for it. He inspires me to be bolder. Notes. It’s great for jotting down ideas. What genre of music helps you do your best work? Either hipster bands or The Clash. What is your favorite brainstorming activity? What’s your secret for overcoming writer’s block? Stepping away from the project. If I have the time, I work on something else or even let it sit overnight. By the time I get back to it, I can think of new ways to get the job done. Where's the most memorable place you've traveled to? Austin, Texas. The atmosphere, food and beer were all amazing. There was one street with a row of houses that were converted into bars. How do you kick back and relax? Try to learn the drum parts to my favorite songs. If you could live in another country, where would you live? United Kingdom, specifically the English countryside—or southern France. What are three things you can’t live without? Beats headphones, Playstation 4, wife.